Kapp Laila is on the western side of Colesbukta. Due to very shallow waters it is quite difficult to acces from the sea, so it is mainly visited in wintertime. 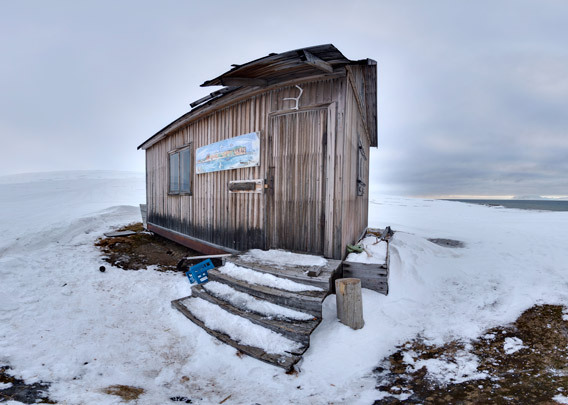 Tourists often pass through on the way to Barentsburg, and sometimes locals spend a weekend in one of the private huts there. 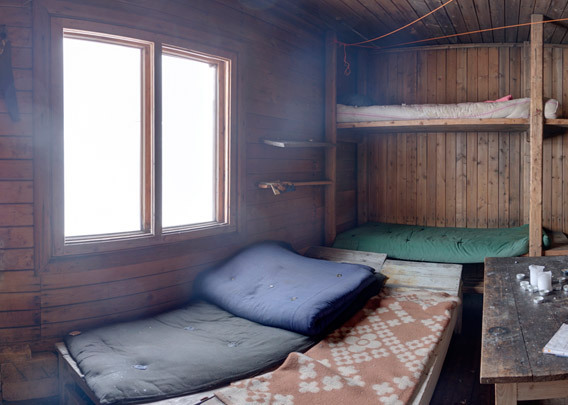 Typically for more recent Russian huts in Spitsbergen, the interiour is simple, but purpose built: several bunk beds, sofa, table and oven. Some bottles of Jägermeister and a tin of Coke with a lot of gunshot holes indicate the main type of activity typically carried out during stays in the hut.